NWVU Chicago Chapter HQ Board members Dr Constance Edwards, Ret. USA Vietnam veteran, LTC Arthurine Jones Ret. 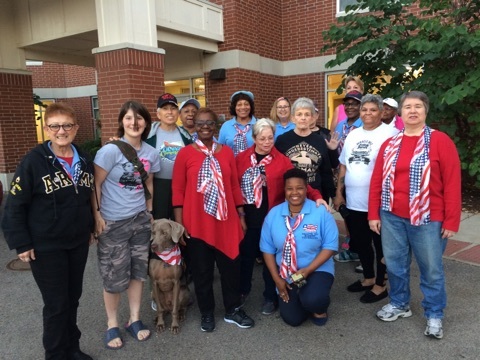 USA Iraqi veteran and Financial Secretary Valorie Harris Vietnam Era USAF meet with NWVU Shevets Rockford Chapter President Nancy Clark SSG Vietnam Era Ret, USA veteran and Vice-President Mellody Brocato, Vietnam Era USMC veteran and their members. This entry was posted in News, Photos, Rockford Chapter and tagged NWVU Shevets Rockford Chapter Meetings, Rockford SheVets by nwvuwebmaster. Bookmark the permalink.